The ARTISAN has teamed up with the American Cancer Society to “Make Cancer History” on May 18 at 6:30 pm. 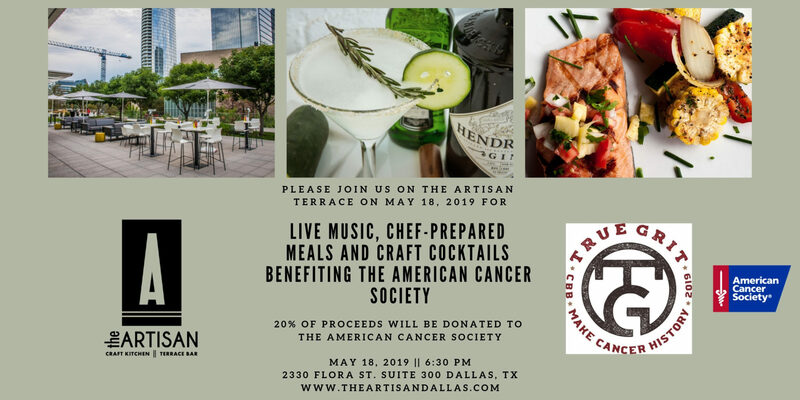 The ARTISAN will offer live music, chef-prepared meals, delicious tapas, handcrafted cocktails and incredible views of the Dallas Arts District benefiting the American Cancer Society! 20% of proceeds will be donated to the American Cancer Society.